Looking for a USED AIRCENTER 22 SFC? 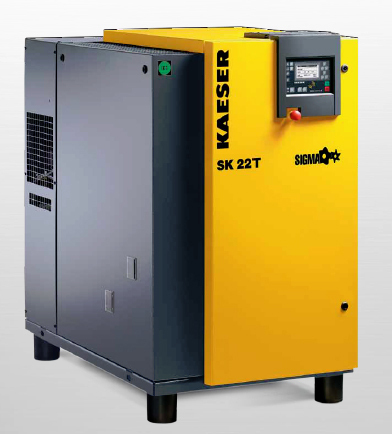 The SX, SM, SK and AS T series compressors are reliable and efficient. The integral refrigerated dryer provides high quality compressed air from one compact package. The air compressor and refrigeration dryer are housed in separate, modular cabinets for easy access to all maintenance points. Looking to Purchase a New KAESER AIRCENTER 22 SFC? Caronlina Equipment & Supply Co., Inc.
Compresores y Maquinaria, S.A. de C.V.
KAESER COMPRESORES de México, S. de R.L de C.V.
Airequipos del Centro, S.A. de C.V.
Kaeser Compressores do Brasil Ltda.